SWEATER KNITTED IN SEMI-INDUSTRIAL MACHINE, IN A FLANNEL-LIKE MATERIAL, LIGHTWEIGHT, WARM AND SOFT ON THE SKIN, EXCELLENT QUALITY, NON-ITCHY. 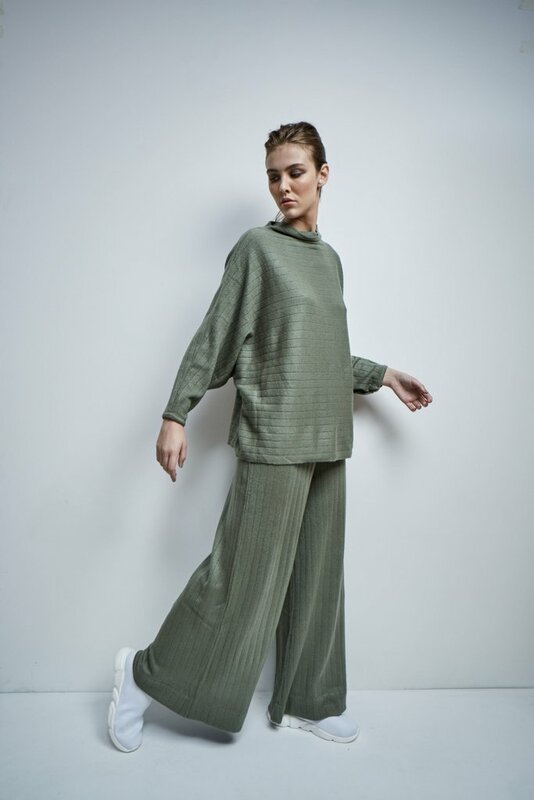 SUPER COMFORTABLE AND EASY TO WASH. DOLMAN SLEEVES AND TURTLE NECK. STRIPED LOOSE STITCHING TEXTURE EFFECT. 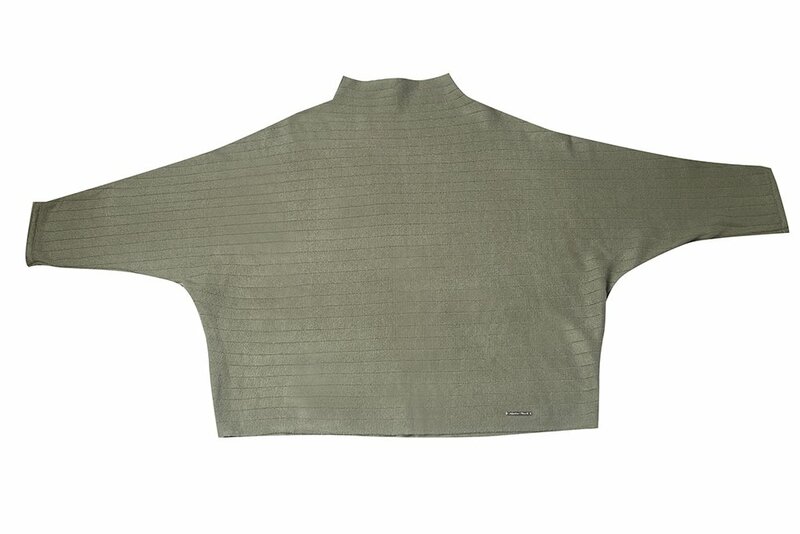 DRY GREEN (PHOTO), BEIGE, BLACK, BURGUNDY, DARK GREY, MINK, STONE, IVORY.